Wurtzite is the not so common cousin of the much more common mineral, sphalerite. Sphalerite and wurtzite are both zinc iron sulfides with the same formula, (Zn, Fe)S. However what makes them different minerals is that they have different structures. The two are called polymorphs (meaning many shapes) and actually share the chemistry with a third, even rarer, mineral called matraite. Wurtzite's structure is composed of SZn4 tetrahedrons that are stacked in a layered structure with every other layer exactly the same in an AB AB AB ... hexagonal sequence. Sphalerite's structure is an ABC ABC ABC ... sequence of tetrahedrons and results in an isometric arrangement. Matraite has a more complex structure than wurtzite and is trigonal, not hexagonal. The tetrahedrons in wurtzite all are oriented in one direction and produce the hexagonal (six fold rotational) symmetry. The symmetry is broken in a perpendicular direction to the major axis and results in a hemimorphic crystal structure. In other words, there is no symmetry element, like a mirror or two fold rotational axis, perpendicular to the major axis and thus crystal faces on top of the crystal are not repeated on the bottom of the crystal. Hemimorphic crystals have different looking tops from their bottoms, as if they never completed the opposite, symmetrical, side; therefore the term hemimorphic or half shape. Other minerals that have a hemimorphic character are the tourmalines, hemimorphite (obviously), greenockite and zincite among others. Crystals of wurtzite are typically six sided pyramids where the hemimorphic character is easily seen as the top of the crystal is the point and the bottom of the crystal is the pyramid's base. Often the crystals are platy with a hexagonal outline and the hemimorphic character is then not easily distinguished. An aggregate of botryoidal crusts with layers of wurtzite, galena and sphalerite is called "Schalenblende" is sometimes cut and polished as an ornamental stone. Color is light to dark brown almost black. Luster is resinous to dull. Crystal Habits include tapering hemimorphic six sided pyramids and platy hexagonal crystals. Also seen as acicular radiating crystal groups or as botryoidal crusts layered with galena and sphalerite. Cleavage is poor in one direction (basal) and good in three other directions (prismatic). Specific Gravity is approximately 4.0 (heavier than average, but light when compared to most metallic minerals). Other Characteristics: Striations on pyramidal faces parallel to base, an index of refraction of 2.36 - 2.38 and some specimens fluoresce orange under UV light. 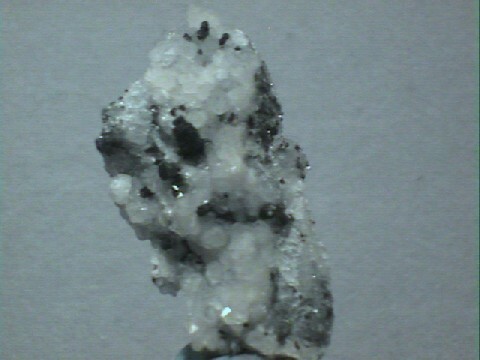 Associated Minerals include galena, sphalerite and pyrite. Notable Occurrences include Germany; Oruro, Bolivia; Peru; several localities in the USA and England. Best Field Indicators are crystal habit, streak, cleavage, softness and associations.